Are your looking for a reliable and affordable option for house cleaning in London? Ensuring that all the housework gets done and your home remains a clean and enjoyable place to live in can be an exhausting chore. If you, like many others, feel that tackling a seemingly never-ending list of household cleaning tasks is eating away at your free time, then you might want to start thinking about hiring a professional cleaning company. If you have a busy lifestyle, then hiring domestic cleaners can really take the pressure off when it comes to taking care of your home. 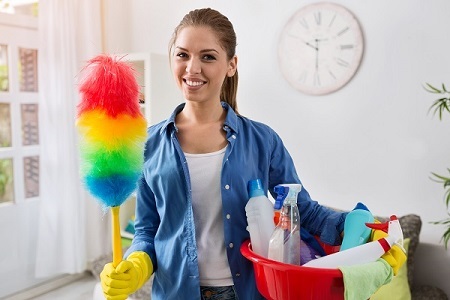 Even if you just despise doing housework- and you wouldn’t be the only one – this sort of efficient and flexible service can really work for you. How do you get the best house cleaning in London? · A comprehensive service – Unless you want just a basic service, you will ideally want one that deals with every part of your home, including carpets, upholstery, windows and curtains. · Flexibility – Do you want a daily, weekly or monthly service? Look for a company that lets you decide when and how often the cleaner visits your home. Trust – If the same cleaner comes nearly every time, and you have the assurance that you can trust them with your house key, you know you have found a reliable cleaning company that won’t let you down. And Fast Cleaners Ltd it is! We’re a London-based cleaning company that continues to aim for 100% customer satisfaction. Since we started operating back in 2001, we have gained a good dose of happy clients who showered us with positive feedback. We cater both residential and commercial clients but what’s more highlighted is the domestic cleaning service. This includes essential services like ironing and washing. We work with professional staff who are always ready to assist you. Whether that’s via chat, phone call or an office appointment, our friendly and accommodating agents are more than glad to serve every client. Our company works with the best domestic cleaners in London. Aside from implementing a strict hiring system, the company also provides a series of training for all our house cleaners. This is to get them equipped with knowledge and skills when performing cleaning tasks. They are vetted, insured and well trained to handle all types of house cleaning tasks. All of our cleaning equipment is considered modern and of the highest quality. We acquire all of our materials from reputable suppliers, and we ensure you that such equipment and products won’t cause any damage to your treasured belongings. We use eco-friendly and biodegradable cleaning solutions. Child and pet-friendly. We provide protection services upon request. This is to keep the cleanliness of your home and fixtures longer that the usual. This is also a great money-saver! We support daily, weekly, fortnightly and monthly cleaning schedules. Almost everything pretty much depends on what the client needs. We also provide one-off cleaning service. Ironing services are performed upon the client’s request at an extra cost! Interested in an option for house cleaning in London? Feel free to give us a call at 020 3907 7263 now. Our customer service team is friendly and always happy to serve our potential clients. Before booking, we encourage all customers to visit our FAQ’s page and Terms page.